Green Bridge Real Estate is pleased to announce the sale of the approx. 40,000 Sq.Ft. Former Equity Trust Office Headquarters on 1.27 acres. Sold to a local Investor on March 31, 2017, Blaze Realty, LLC. For $1,000,000. At the time of the sale, the building was home to Buyer Quest, which will remain an anchor tenant of the building. Green Bridge Real Estate represented the Seller ETB University Properties LLC which was a subsidiary of Baldwin Wallace University. The 40,000 sq.ft. property represented a huge Value Added Opportunity for the new owner. The property boasted open office floor plans that could accommodate large corporate tenants or be further sub-divided for smaller office users. At the time of transfer, the 4th floor was vacant and available for a large office tenant. The new ownership is planning to update the mechanical systems and modernize the equipment. The Green Bridge Real Estate marketing program generated a significant amount of interest and offers on the office property. An approx. 12,000 Sq.Ft. 2-story brick building. Green Bridge Real Estate represented the owner of the property. The area of town was becoming a target for redevelopment and had many inquiries on the property. Property was transferred on July 21, 2016 to Nathalie Debo. 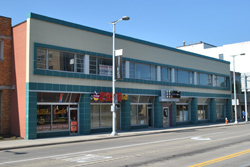 The new buyer is preparing to redevelop the property for their Law firm and other tenants. An approx. 2,600 Sq.Ft. of Office space. Green Bridge Real Estate represented the landlord. The space had an existing tenant that was looking to down size and had notified us of their intentions to move and if we could find a new tenant. We were contacted by another broker looking for a similar space and scheduled a showing. A letter of intent was submitted to the landlord on August 15, 2016 and we located a satisfactory space for the existing tenant to move to in 2 weeks. Our fast turnaround made the deal possible to secure a 3-year lease for the Landlord. Approximately 8,578 sq.ft. of Office space was leased to Buyer Quest for its corporate Headquarters in June 2014. Green Bridge Associates exclusively represented the former 35,000 sq.ft. Equity Trust Office Headquarters building. Buyer Quest was growing rapidly in their Flex building situation and was looking for a flexible office building that would allow for future growth and potentially an option to purchase. Green Bridge Associates had shown the space several times to Buyer Quest and a meeting was granted with the owners to discuss a flexible lease arrangement and building naming rights. 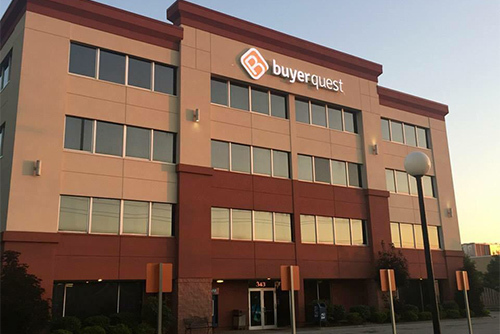 Buyer Quest eventually committed to the transaction and have renamed the building in their name. An approximate 7,200 Sq.Ft. 2-Story Downtown Cleveland Office Building on .55 Acres sold for $550,000 in April 2015. The 2020 Carnegie Avenue building boasts Union Eye Care as its anchor tenant. The seller, Meridian Properties, a subsidiary of Bruce Madorsky, represented the second major sale in Cleveland in the past 90 days for this group. The vacant Second floor space will serve as the new home for RX Home Healthcare, Inc. RX Home Healthcare will move from its current location near East 30th Street and Euclid Avenue. "We have extensive plans to renovate the second floor space and are excited about the opportunity this building will give our business" said Guenet Indale, Owner of RX Home Healthcare, Inc. "The building has great visibility and access to the Inner Belt." Said broker Matthew King, CCIM of Green Bridge Real Estate who represented RX Home Healthcare in the purchase. "The Downtown market for Free Standing buildings has certainly tightened up over the last 12 months. 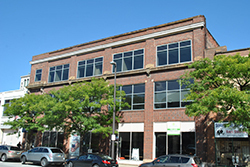 Good quality buildings like 2020 Carnegie are not sitting stagnant on the market any longer" Guenet added "We have been searching for the right opportunity for our relocation for several months and are thrilled to purchase the 2020 Carnegie building. We were disappointed that our proposal was not selected on the Whitlatch Building but as old doors close, new ones open." Green Bridge worked hard to on our behalf and we couldn't be happier with the high quality of service they provided." The Parking lot on the .55 Acre lot will continue to be operated as a special event parking lot for Sporting Events and Concerts. 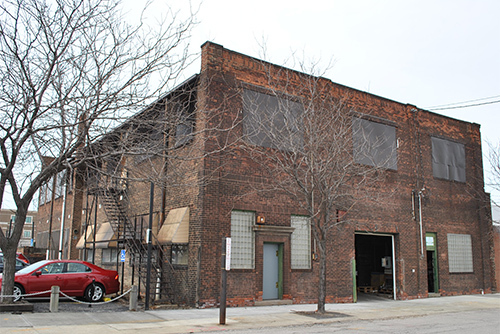 The neighboring building to the West, the Whitlatch Building at 1910 Carnegie Ave was recently offered via Sealed bid and Fred and Greg Geis of Geis Construction ultimately won with a bid for $600,000 for a possible office redevelopment. The Buyers of 2020 Carnegie, RX Home Healthcare took part in the bidding process with the County for the Whitlatch Building and ultimately lost the bid to Geis. An approx. 2,500 Sq.Ft. retail space was leased in June 2014. 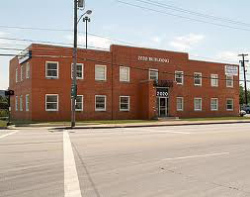 The KDK Building is located on Prospect Avenue directly across the street from the CSU Wolstein Center and within the Cleveland State Campus District. The owner has 2,500 Sq.Ft. of first floor retail space that had been vacant for many years. From past real estate experience with the Building owner, Green Bridge was appointed exclusive agent to market the property. The KDK building was listed on Loopnet, Xceligent, CoStar and the Cleveland Economic development sites among various other internet outlets. Green Bridge associates identified a local Church group looking to lease their own space. They had been sub-letting from another tenant and parking was becoming an issue. The KDK Building offered free parking for a few members and numerous surface parking lots were available within walking distance. After several tours and showings with this group Green Bridge finalized a 3 year lease agreement with the option to renew. A 5,400 Sq.Ft. office building on 6 acres was leased to RoadOne Intermodal-logistics in December 2013. 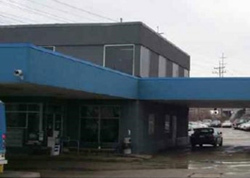 The former Thrifty car rental location offered a 5,400 Sq.Ft. office building and 6 acres of paved surface parking. The property benefited by its proximity to the Cleveland Hopkins International Airport and had excellent I-71 Highway visibility. Finding the right user for this unique property posed some challenges. RoadOne Intermodal-logistics was looking for a location for their tractor trailers and office personal all located at one location. At the time, they were operating out of two separate facilities and was not efficient. The Green Bridge represented property offered a solution to their problem. 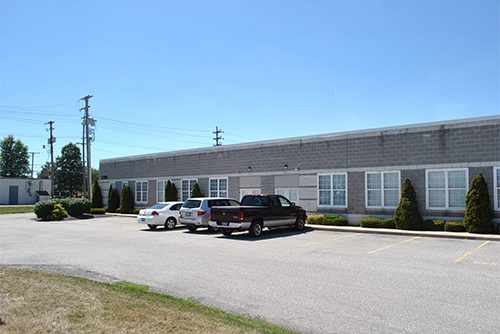 Green Bridge associates negotiated a favorable lease agreement for 3 acres of fenced in trailer storage and the office building for the owners of this unique property. A 4,000 Sq.Ft. office building on 4 acres sold for $157,000 in December 2013. Green Bridge associates represented the seller in the sale. 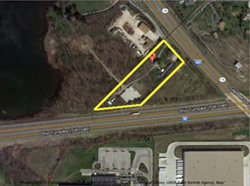 The Former Veterinarian clinic on 4 acres of land with Highway frontage on I-480 and the Ohio Turnpike benefited greatly from an MCI telecommunications switch station lease and subsurface gas and mineral rights leases providing additional income. The local buyer was interested in the neighboring property and was assembling the land for a future development site. The property closed and transferred within 60 days. A 3,009 Sq. Ft. medical office space leased in April 2013. A Thirty Five (35) month agreement was signed to NEO Men's Health and Wellness Clinic with one month rental payment abated. Green Bridge Real Estate co-brokered with Mrs. Susan Lines from CBRE. NEO Men's Health and Wellness Clinic called Green Bridge because of a past leasing experience in another part of town. We were able to meet quickly and understand the urgency of the request. The client wanted to be in a space within 60 days. We made a list of the client's requirements and generated a tour list for the next day. After the tour was completed we met to discuss the pros and cons of the properties and narrowed the list down. Green Bridge then drove the market one more time to identify a new listing not on the current tour. We set up another tour and found one particular space that was move-in ready and required very little work to occupy. A Letter of Intent was quickly generated for submission to the listing agent. Once the details of the LOI were worked a lease was drafted and negotiated quickly to get the occupancy started. The Men's clinic had identified and moved into their ideal space within 30 days of their first showing. 18,568 Sq.Ft. of Office Building on .49 Acres. Green Bridge Associates Represented Landlord in the lease Transaction September 2012. We were able to find a tenant to take the second floor space in its "as-is" condition and help the owner generate positive cash flow from the beginning of the lease.